I was born in 1983 in the lovely city of Kajaani, Finland. Kajaani is located – well according to you to the middle of nowhere in the Northern Finland – and according to me to the mid part of Finland with decent connections to the bigger world via train, plane and roads. 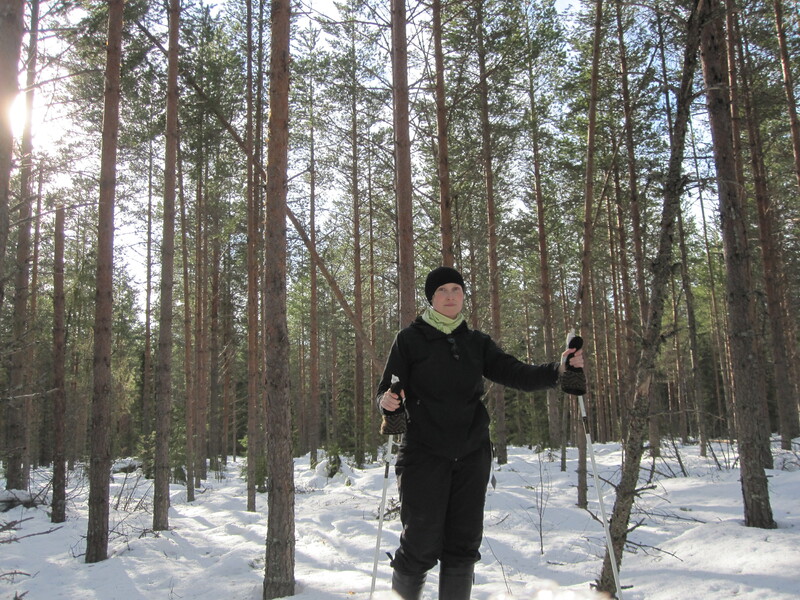 I am environmental engineer, mother, green politician, council member, Kajaani-being, project worker, scout and nature lover. All these are something I love and really wish to be. Because this is my politician site, more about that: My reason to be in the politics, is to ensure that future generations are able to live on our precious planet. As B-P, the founder of scout and guide movement, said: ”Try to leave the world better than you found it”. My path started within the studies of environmental protection engineering mainly in the University of Oulu, but also in the University of Kuopio and National University of Singapore. Studies gave me wide knowledge of how both nature and industrial processes work. 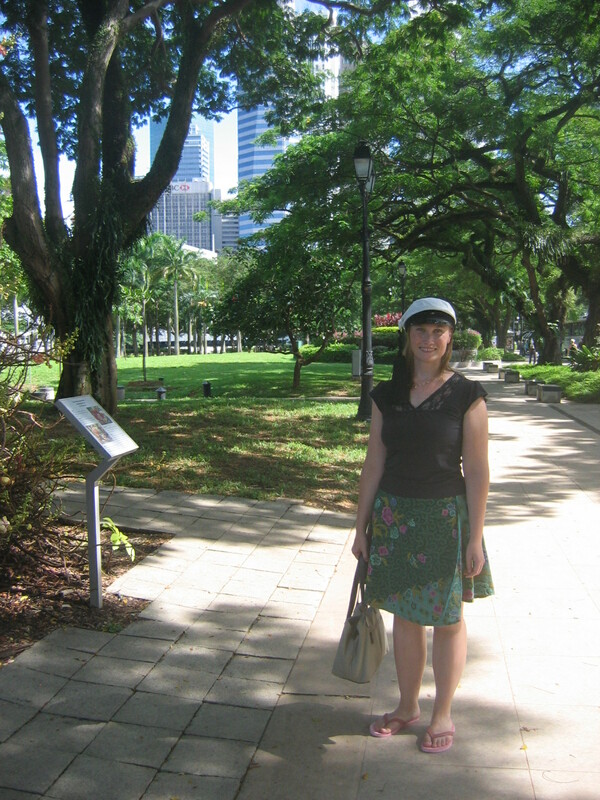 As a graduated engineer I moved to Helsinki and first worked in training company AEL and later in the European Chemicals Agency (ECHA). Even though the work in ECHA was very motivating and challenging (+ well-paid), I resigned and moved back to my home town, Kajaani. During the same week we also celebrated our weddings. Luckily things sorted out and I was employed by Kainuun Etu, for an EU project, English as working language still and for a Greek-origin boss. Simultaneously I stood as a candidate in the municipal elections. The political career began well, as I was elected to the Kajaani city council. When I need to mention my hobbies, scouting is always there. I have been a scout since seven years old. 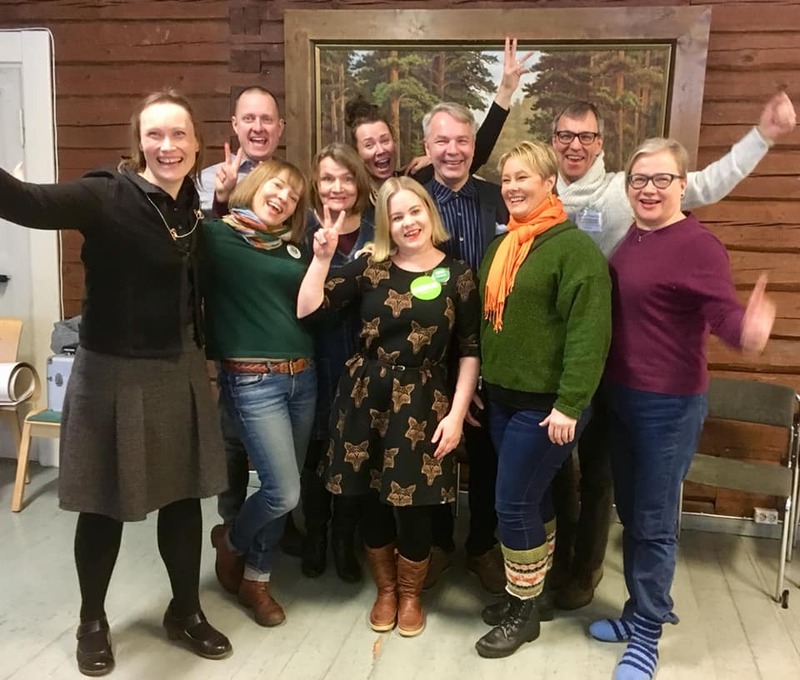 During these twenty years I have done many different things – being a group leader for children, travelled to India for a seminar and acted as a board member for Finnish national scout organisation. 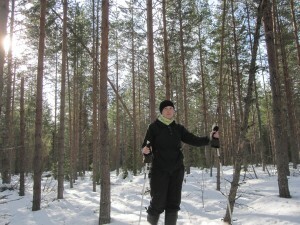 In addition to scouting I like different outdoor activities i.e. hiking, skiing, skating etc. I also want to mention my two lovely kids. They give me enormous amounts of love and joy, also grey hairs – but they definitely increase my motivation to be active in politics. It is basically the world we create to them, and that world I want to be as good as possible. Guess what: We had municipal elections in April 2017. And out of all candidates, I was the one getting most votes in whole Kainuu. 546 votes, when the second best got a bit less than 400. 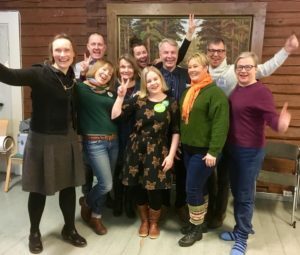 Me – youngish Green lady got most of the votes in Kainuu! The world really seems to be changing. After that I was leading the preparation of the agriculture policy paper in the Finnish Green party. I have also been writing a lot about the sustainable forestry. This active writing eventually led to the invitation to Linnan juhlat (this famous hand-shaking party we have on our Independence Day where 2000 invitees shake hands with the president and half a million people watch it from TV).